Well the Olympics are truly upon us and the excitement is growing throughout the UK. 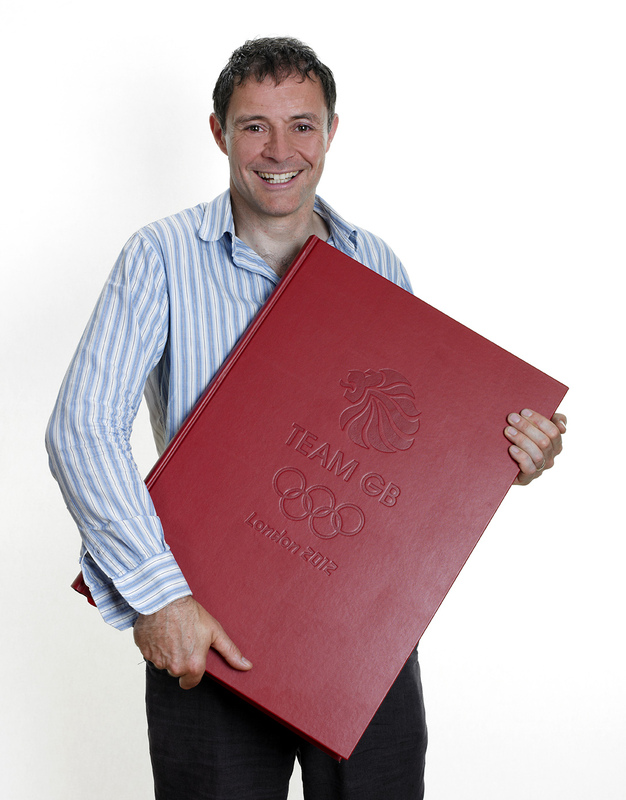 Here at Masters Bookbinding we feel we have already won a gold medal. 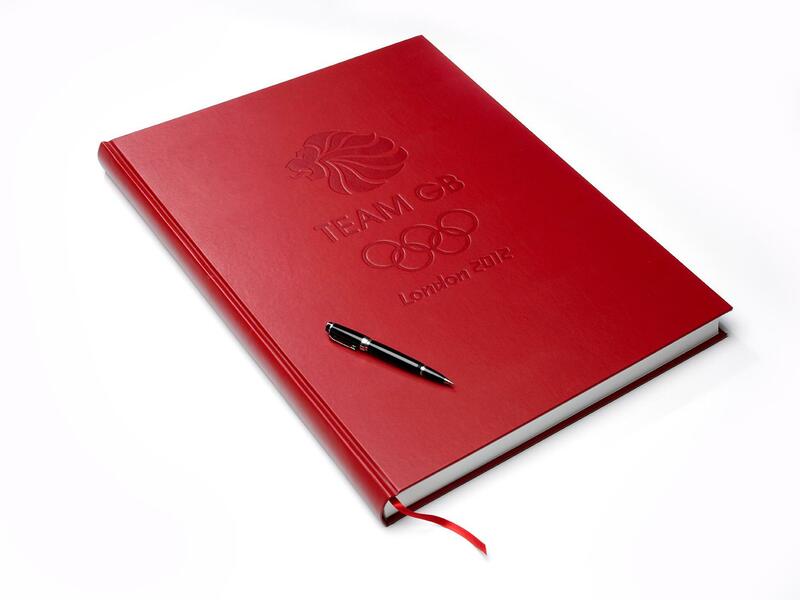 We were commissioned recently to produce the Team GB comments book by Rebecca Bateman. Bound in red hydrothermo material to the outside cover and with printed end papers, the finished result looked a winner through and through. The Front cover was thermo debossed, so the GB Team logo is crisp and can be seen clearly. This one of the great benefits of working with thermo re-active materials. The Team GB Book will take pride of place in the GB Athletes Village area where members of Team GB will be able to add comments and share their experiences of the 2012 Olympics. The internal pages are plain Somerset book wove and the end papers are printed. Here you can see Roger Masters the owner of Masters Bookbinding Ltd proudly displaying the Team GB Book. You can also get an idea of the size of the finished book in Roger’s arms. The internal end papers were printed at B1 size, so the whole project has been one of largest to date from a finished book size. You need to be part of the Team GB weight lifting team to pick it up. Masters Bookbinding has a reputation built around producing high quality, hand-finished products. The company has been in operation in the south-east for the last 35 years, and has grown from providing mainly binding and restoration services, to now taking on prestigious projects over a diverse range of bespoke products and working closely with the design and print industry. Need to know more? Call us on 0118 324 0120. Come to us with an idea and we’ll make it work; you’re only limited by your imagination. If it can be made out of paper, board, book-cloth or leather, the chances are that we can make it. We have a wide range of materials, from coloured papers, acrylic coated papers and cloths to leather, in stock to make your item really special. Wishing Team GB a great Olympics.